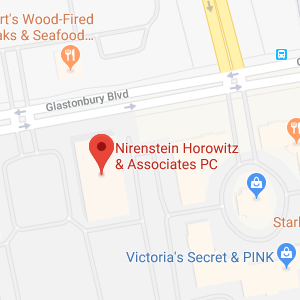 Nirenstein, Horowitz & Associates provides help with estate planning and with elder law issues to clients throughout Old Saybrook, Connecticut. We can work with you to identify your goals and put solid plans in place to protect your interests and to provide for and protect your family. We help you to prepare for retirement and to keep your growing nest egg safe and we also work with you to make plans for end-of-life issues and to be prepared for family tragedies. No matter your age or income level, it is important to have plans in place to ensure you’ll have the most secure future possible and to ensure your family will have the financial resources and support they need in case something happens to you. You should give us a call to find out about the assistance our legal team can offer if you live in or around Old Saybrook. Old Saybrook is a town in Connecticut that is located in Middlesex County. As of the most recent census, the population of Old Saybrook was just over 10,200 people. Old Saybrook includes the borough of Fenwick, which is an unincorporated borough, as well as Old Saybrook Center, which is a census-designated place (CDP). Saybrook Manor is also located within the town of Old Saybrook. Old Saybrook has a very rich and distinguished history. The town is home to numerous destinations that are on the National Register of Historic Places, including the Lynde Point Lighthouse and the Samuel Eliot House. The community spans a total of 21.6 miles, of which 6.8 square miles is water. Old Saybrook was first formed as a factory town with a trading post but the trading post was abandoned after settlements were consolidated in the New Amsterdam area. In 1635, the Saybrook Colony was first officially established, and the seal of Saybrook Colony was actually the inspiration for the design of the Flag of Connecticut. As of the most recent census, 12.9 percent of households in Old Saybrook were comprised of a senior living alone. If you are a senior in Old Saybrook, whether you live independently or with family, you may wish to take advantage of some of the many local programs and services that are targeted towards older people in the area. For example, some of the services you could take advantage of include those provided by the Estuary Council of Seniors, Inc. The Estuary Council of Seniors serves nine towns in the Estuary region and provides support and services to residents age 50 and over. 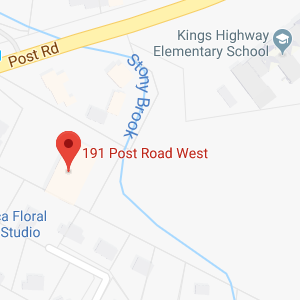 The Council is located at 220 Main Street, Old Saybrook, CT 06475 and the telephone number is 860-388-1611. The Council provides nutrition services, transportation, social opportunities, educational opportunities, health services, and other support services. Its goal is to promote health and active lifestyles among older residents in the nine-town Estuary region. Often, seniors need more help than they can get through free programs or through community based programs. For example, there may come a time when you are too old or sick to live independently and you need to move to a nursing home or you need to get long-term care help at home. If this happens to you, you may need to qualify for government benefits programs like Medicaid to cover the costs of your care. Nirenstein, Horowitz & Associates can help you to understand what types of government benefits you may be eligible for as you age and we can assist you in trying to take proactive steps to become eligible for the programs you will need to provide for you and enhance your quality of life of as a senior. Nirenstein, Horowitz & Associates also provides important services not just to seniors but to people of all ages who must go to probate court or who want to take steps to ensure their families don’t ever have to to go probate court. Going to probate court could be necessary if a loved one becomes incapacitated without an incapacity plan that provides authority to a trusted agent to make decisions and manage assets on his or her behalf. You may be forced to go to court to get a guardian or conservator named to act for the incapacitated person when he cannot act on his own. Going to probate court could also be necessary after the death of a loved one. The probate process will provide an opportunity for potential heirs or beneficiaries to be notified, for creditors to make claims and for the validity of a will to be determined. Nirenstein, Horowitz & Associates provides representation to all those who must go to probate court including the executor of an estate, potential heirs or beneficiaries, those who wish to contest a will, and those who are pursuing guardianship or conservatorship proceedings so a guardian or conservator can be appointed to act on behalf of an incapacitated loved one. If you must go to probate court and the deceased or incapacitated person either lived in or owned property in Old Saybrook, the proper court is the Saybrook Probate Court, according to Connecticut’s directory of probate courts. This court is located at 302 Main Street on the 2nd Floor. It is in Old Saybrook, Connecticut 06754. The telephone number to reach the probate court for Old Saybrook is 860-510-5028. Old Saybrook elder law and estate planning attorneys can provide assistance with understanding the tools you can use to plan for incapacity, to protect your assets, and to take control of your legacy. We can also provide representation in probate court and can help seniors to understand their benefits options and to take steps to claim benefits. To find out more about how our legal team can help you, give us a call at 860-548-1000 or contact us online today.